This is a board game about pets.You can practice the names of different animals and the verb have got or has got in affirmative for. 2-4 players can take part.You need a dice and counters for playing.Enjoy! 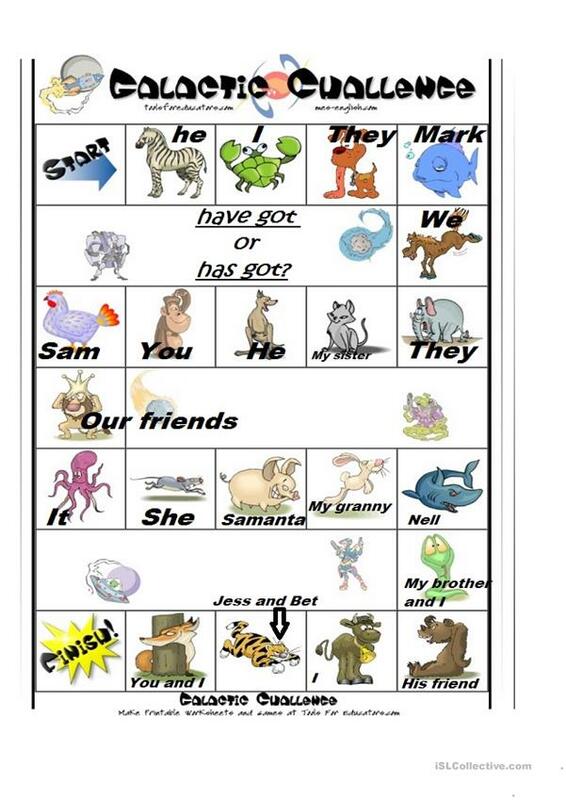 The present downloadable teaching material is meant for elementary school students, kindergartners and nursery school students and students with special educational needs, learning difficulties, e.g. dyslexia at Beginner (pre-A1) and Elementary (A1) level. It is aimed at practising HAVE GOT or HAS GOT in English, and can be used for honing your class' Speaking skills. It is focused on the topic and words of Animals. Nemzova is from/lives in Russia and has been a member of iSLCollective since 2013-01-27 18:32:19. Nemzova last logged in on 2019-04-18 16:35:34, and has shared 25 resources on iSLCollective so far.